What a fabulous conference at the University of Kansas! While Philippe Lefebvre’s completely improvised recital was one of my highlights of the conference, the opening concert was a unique experience that will inspire me for years to come. Five organists played a Mass in alternation with a chant schola. 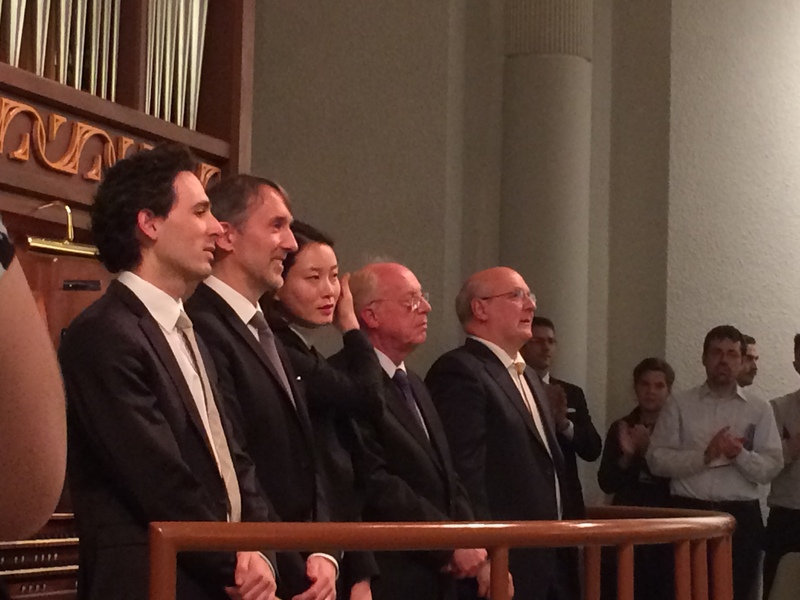 Michel Bouvard and Shin-Young Lee played movements from François Couperin’s Messe pour les Paroisses, while the three organists from Notre Dame, Philippe Lefebvre, Olivier Latry, and Vincent Dubois improvised. Here was truly a program in alternatim. No player played twice in a row, and improvisations alternated with repertoire. In between the movements, the chant schola from Our Lady of Guadalupe Seminary in Denton, Nebraska, under the direction of Nicholas Lemme provided exquisite chant. I have heard that the AGO intends to release videos from the conference over the next year. I certainly hope they include this unique concert soon. This was apparently the first time all three organists from Notre Dame have played on the same program outside of Paris ever. Bravo to the University of Kansas and AGO for organizing such a great event! In an opening presentation to the conference, Michael Bauer asked what makes French pedagogy different. 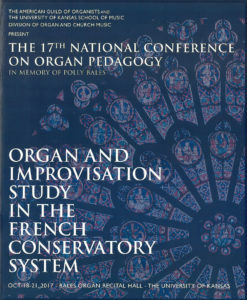 Is there anything specific or unique to the French system of training organists that carries across styles, time periods, and even teachers that sets it apart from the way organists are trained in the US, Germany, or other countries? 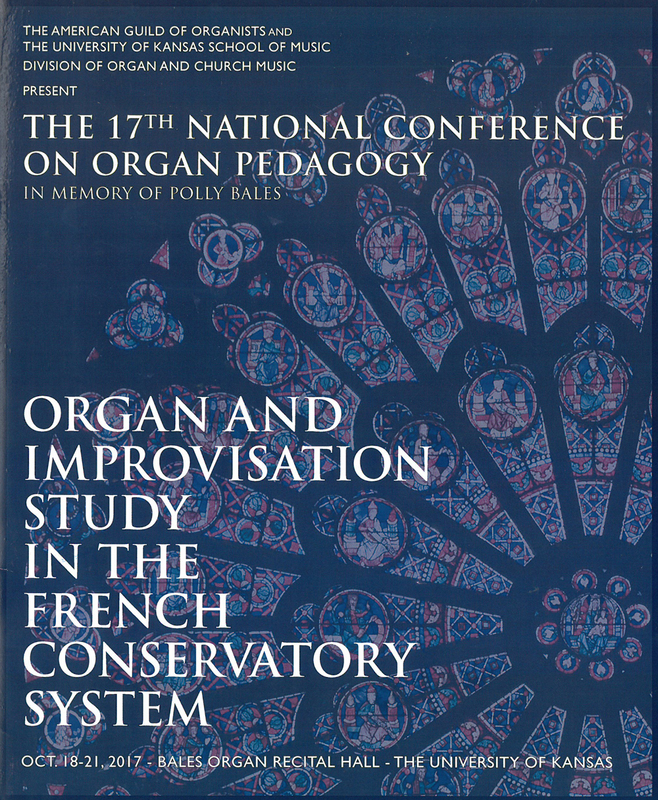 There were panel discussions probing the French organists on their teachers and their own teaching methods, as well as presentations on the approach of Marie-Claire Alain and the conservatory system in France. Because of the time I spent studying organ in both the United States and in France, I believe I came up with an answer by the end of the week. Every music student in France is required to have multiple years of solfège. After a few years of learning to read music notation and sight-sing, students begin the disciplines of Écriture. This includes multiple years of harmony, counterpoint, and eventually the possibility of composition. To complete a college degree in music in the US, students generally have two years of music theory classes. In these two years, students cover basic notation, sight-singing, harmony, counterpoint, and analysis for all periods of music history from early to the most recent. Some students or schools may continue into a third year of required studies. When I went to France, I had completed my Master’s Degree. I had composition lessons and had breezed through the theory classes I had taken in the US. When I took a placement test in France, I ended up in first year harmony! Now, I found it very easy and probably could have placed into second year with a little coaching, but harmonizing melodies in four-part open score (with C-clefs!) without the use of a keyboard was something I had never done in the US. Even the basic level of harmonie instruction in France requires skills that simply aren’t taught in this country. The French Conservatory system has a system of three cycles for each discipline. The first cycle is a beginner; second level is intermediate; third level is advanced. Each cycle generally takes 2-3 years to master. During my time in France, I was able to complete the first cycle of harmonie. Even now, I wish I could complete the final levels of harmony and counterpoint from the French system. Most of the organists in France also earned prizes or diplomas in harmony, counterpoint, and/or écriture (according to how the formation was grouped at the time). Many of them completed their studies in these disciplines before they earned their organ or improvisation prizes. If you had six or seven years of harmony and counterpoint classes, how much better would you be as an improvisor? Even for playing repertoire, how much more insight could you have on the construction of a piece if you had to write similar passages while studying harmony and counterpoint? Pen and paper exercises develop not just the knowledge of music theory, but also the inner ear. I believe it is the extended study of these disciplines that sets the French organists apart. They have in depth study not just of the instrument, but also the disciplines of music construction. If you haven’t done so before, it may be time to sit at a desk and work on your musical écriture. At the beginning of the month, I gave a presentation to the Baltimore AGO chapter. You can now view my opening remarks here. I truly believe that if we treat music as a language and invest the time into practicing it, we can become as fluent speaking music as we are in our native tongue. The French insist upon longer more detailed studies, and we can see the results there. Before I ramble on too much longer, today is Halloween in the United States. Somehow, the Bach Toccata and Fugue in D minor has become linked with the celebration. (With my American mentality, it was quite a shock when a couple I met with in France requested the piece as the entrance music for their wedding!) 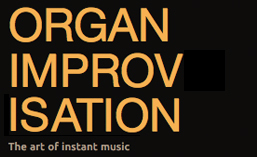 ORGANPromotion assembled two recordings of improvisations on the piece. You can hear them both on Spotify (Disc 1 and Disc 2). Rather than frighten you, I hope these recordings inspire you to improvise more often. This entry was posted in Newsletter and tagged Harmony, Michael Bauer, Michel Bouvard, Olivier Latry, Philippe Lefebvre, Shin-Young Lee, University of Kansas, Vincent Dubois. Bookmark the permalink.